We have asked an online student who is planning to learn about literature and ancient mythology to tell us about her experience. 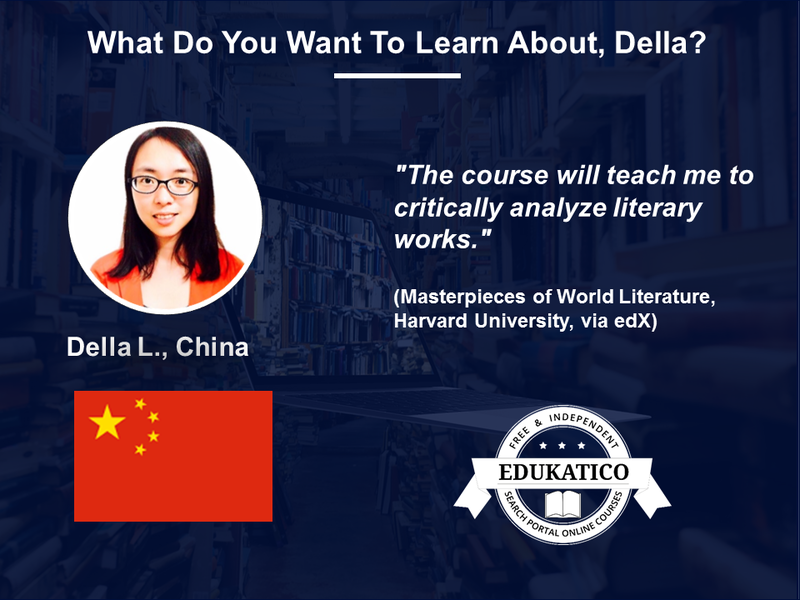 Della L. from China has attended online courses before. For example, she has participated in a course about learning techniques offered by the University of California, San Diego (via Coursera). Which Online Courses Does She Want to Do Next? 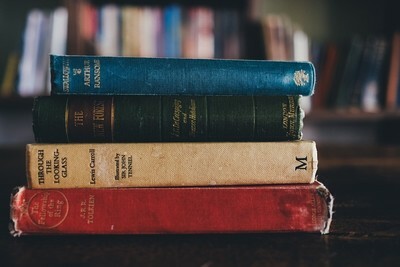 "I am beginning my first attempt to translate literary fiction, so I think it will be of great help for me to look deeper into the treasures and heritages of these great masters. As described in the course introduction, it will teach me to critically analyze literary works and understand how cultural transmission transformed literatures. This course would surely refresh my knowledge and serve as a great step for me to reach the next level." She is also planning to take a course on Greek and Roman mythology offered by the University of Pennsylvania to learn about western mythology. "I am a big fan of mythology, especially Asian mythology. I used to read books of mythology from ancient China, Japan, and India. It occurs to me that mythologies from different regions and countries reflect different values and perspectives. So western mythology is another field I want to explore. The syllabus sounds so interesting to me. The course will talk about western history, ritual, religion, and identity, intertwining yet progressive in all kinds of stories." Della also wants to learn how to play the guitar in an online course on the Udemy platform. "I have always wanted to learn an instrument. So I started about three years ago with a guitar, but I didn’t make much progress. I don’t want to go to a guitar teacher because I hate spending time on commuting. Also, I sometimes give up halfway because I am just not very motivated without a correct learning atmosphere and learning buddies. This course seems very interactive and appealing. The teacher sounds professional, and I like the syllabus set with mini-classes and plenty of time for me to practice in the intervals. The best thing is, the course is on sale now." So What Do You Want to Learn Next? Our course directory lists 7,000+ online courses (MOOCs, online lectures and other video-based courses) from 22 subjects and 50+ course providers. Many of the courses are free to learn! With our Course Manager, you can organize your online learning across course providers. Are you interested in online learning? Register for our newsletter here, and follow us on Facebook and Twitter!